I think everyone has a book inside them. Everyone has a story, a theme, a voice crying out to be heard. Maybe you’ve had an idea for a book or two, and you’re toying with the idea of writing the next Lord of the Rings or Mere Christianity. I’ll neither try to encourage nor discourage you. 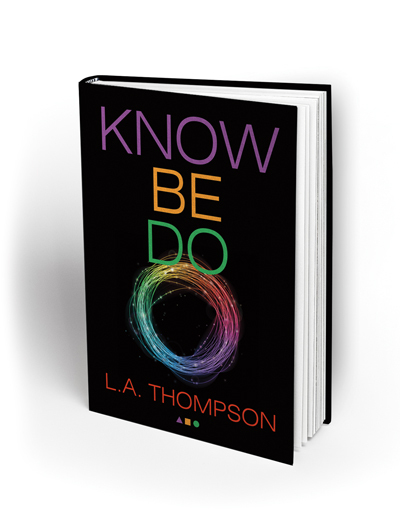 But I will tell you five things I learned from writing my book, Know Be Do. That was my book’s rank on Amazon until a few days ago when I skyrocketed to #1,357, 486. I sold one book. That catapulted me past approximately one million other books that apparently have not sold a copy in an even longer time period than mine. At my book’s apex I briefly sat somewhere in the #9,000 range. So how does writing a worst-selling book qualify me to write this article? Failure is often a better teacher than success. So my chief qualification for writing this blog post is not that I hit the publishing jackpot—the 1%. But that I represent the other 99% of hopeful but ultimately unsuccessful authors. I traversed a futile, four-year journey through the eye-opening reality of publishing a book that few bought. “There is no end to the making of many books,” wrote the wisest man who ever lived, Solomon (@Ecclesiastes 12:12), as he reflected on the futility of life under the sun. 1. Writing is the easy part compared with publishing. I had a book in me that was 30 years in the making. It was the theme of my life: Know. Be. Do. I spent nine months in labor writing my book, and then gave birth. It was hard work, an exercise in self-discipline, an endurance test. I was so proud of my baby. But writing was the “easy” part and, for someone like me who enjoys writing, very fulfilling. Publishing was a whole different story. I was no longer in control of the outcome, and the process was an exercise in futility. Not that I was overly naïve. I didn’t expect major publishers to get in a bidding war for my manuscript. I half expected to get a rejection letter that read something like, “Your book is both good and original. Unfortunately, the part that is good is not original. And the part that is original is not good.” But that would have required someone to actually read the book. And that is next to impossible. I quickly learned why self-publishing companies like Amazon have grown to be big business. Traditional publishers are highly risk averse. They invest only in a sure thing. What’s more, most of the major publishers won’t even talk directly to an author. They work only through agents who act as gatekeepers. So I shifted my focus to finding an agent. Finding an agent who will take on a first-time author proved to be equally difficult. Again, they want to invest their time only in a sure thing. I don’t blame them; I probably wouldn’t either. One group of agents told me they receive hundreds of submissions each month. They can’t begin to read them all. So instead, you submit a book proposal—like a resume for your book—designed to sell your book in a few brief moments. I spent weeks crafting this important document. But again, to no avail. After a year of trying and an inbox full of rejections from agents and publishers, I had no other option than to go the self-publishing route. For my book, I chose a company, WestBow Press, a division of Thomas Nelson and Zondervan. They provide most of the services that a traditional publisher does. But you have to pay to play. My book was badly in need of credibility, however, and having “Thomas Nelson and Zondervan” on it lent some clout. For my book’s companion workbook, I went the purely self-publishing route through Amazon’s CreateSpace. Finally, two years into the process, my published book arrived. And even though it was self-published, there’s still no thrill like finally holding that first printed copy of your book in your hands. 2. Getting published is easy compared with marketing. Publishing—some control, thanks to self-publishing. I tried every strategy I feasibly could. A launch team from my network of relationships. A virtual launch party. News releases. Letters and emails to bloggers and other influencers. Social media. Paid ads. Nothing seemed to work. Because I was an unknown, I knew I needed people with name recognition, credibility, and clout to endorse my book. I handed out free books—in person mostly—to major names in the evangelical world. But the hardest thing you can do is get a busy, influential person to invest the time to read your book. It was a two-year exercise in supreme humility. 3. The author’s platform is far more important than the book’s content. I’ve already confessed to being severely humbled by this process, so now, at the cost of sounding dreadfully conceited, I believe I’ve earned the right to say my problem is not the book itself. Everyone who has actually read it, says it’s amazing. They say it’s changed their whole outlook on Christianity. It’s as good as anything on LifeWay’s best-sellers rack. It has a 5.0 star rating on Amazon—but only five reviews. Pride of authorship notwithstanding, I’m trying to make a point that is much bigger than me: the book’s content is remarkable. I can say that because I didn’t really write it. God did. If there’s anything good about it, He gets the all the credit. If there’s anything bad about it, I get all the blame. But now the harsh reality: People don’t judge a non-fiction book by its cover. They don’t even judge it by its content. They judge it by who the author is. I get it. I won’t invest my time reading a book unless I know the author is worthwhile. 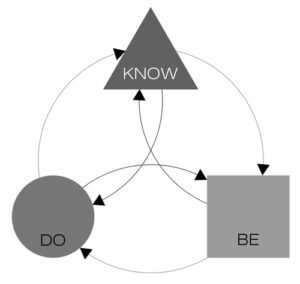 Why would anyone who has never heard of Larry Alan Thompson buy Know Be Do? I don’t fault the system for that. It’s the natural, normal, market-driven process that flows through life. Most successful authors are not overnight successes. They’ve paid their dues developing a body of work—be it books or sermons or other achievements—that have earned them the right to be heard. That’s the norm. Granted, it handicaps potential exceptions to the rule, but overall the system works. Most good books get the recognition they deserve. Unfortunately, however, a few gems never get discovered. 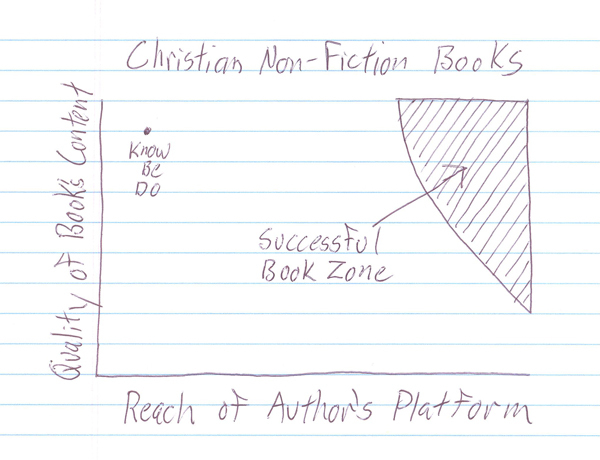 Chart from my journal about how the quality of a book’s content and the reach of the author’s platform relate to book success. 4. Don’t write a book to make money. Write your book for the right reasons. I said my intent for this blog is to neither encourage nor discourage you. Unless you have a huge platform from which to launch your book, however, you’re probably feeling quite discouraged. Sales, however, is only one measure of the success of a book—especially a book with eternal, Kingdom-focused purposes. So, if making money is your goal for your book, your story is probably not going to have a happy ending. A minuscule percentage of books ever turn a profit. I read about one small-time author who, by virtue of some unplanned publicity, ended up #1 on the best-seller’s list. His total net from the book? $12,000. Don’t quit your day job. Even most successful authors have some other full-time gig. If your book doesn’t succeed commercially, God has good reasons. He gives only good gifts—ones that bring Him glory and us good. He may want you to write the book anyway. 5. Writing a book may not be the best way to tell your story or voice your message. So don’t let that “book” inside you die. Write it with your life. Write it in a book, if you wish. Perhaps you’ll fare better than I. Take it from #2,473,132. Yes, “there is no end to the making of many books.” But no one else can tell the story you alone can tell. God has someone who needs to hear. Publish it!